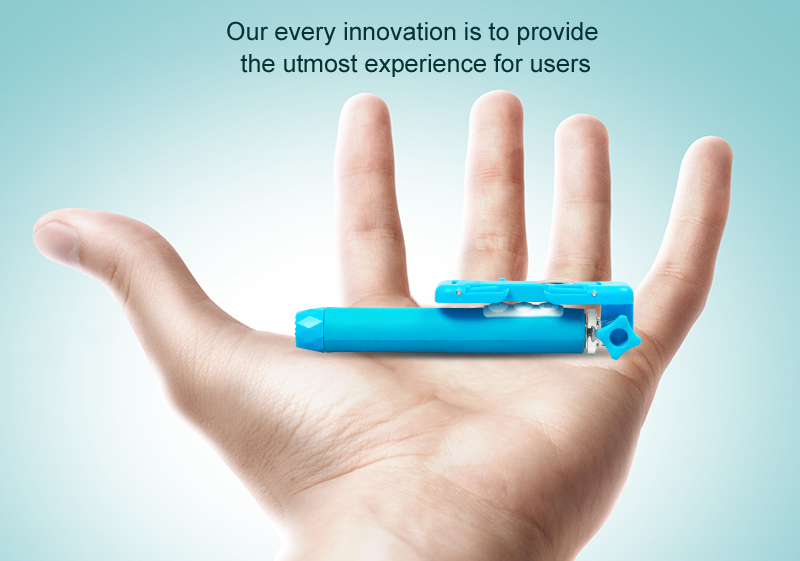 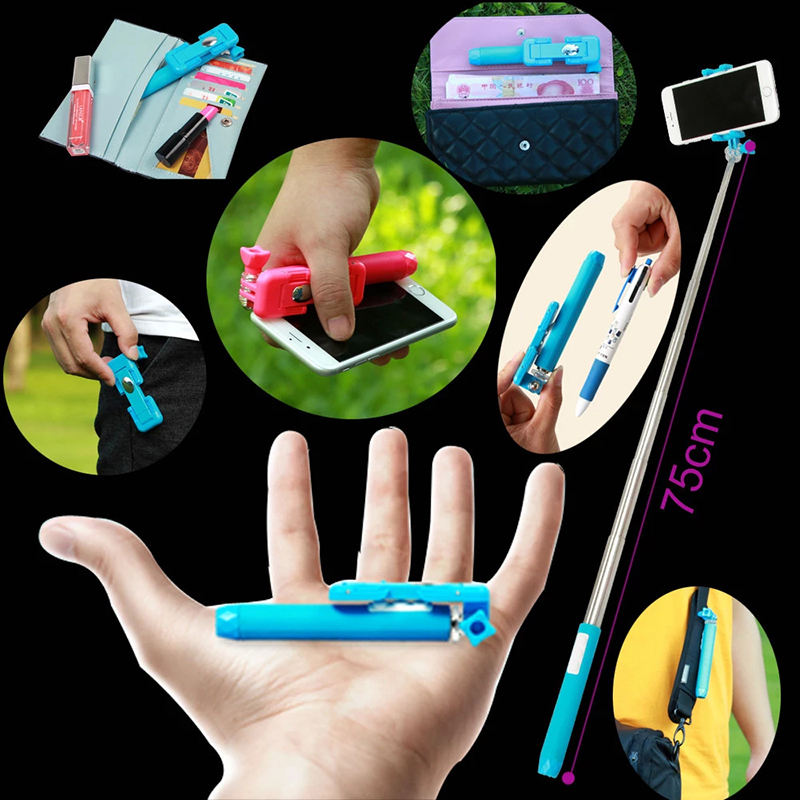 All in one pen clip concept: industrial design master absorbs the pen clip elements so to make the selfie stick more humanized. 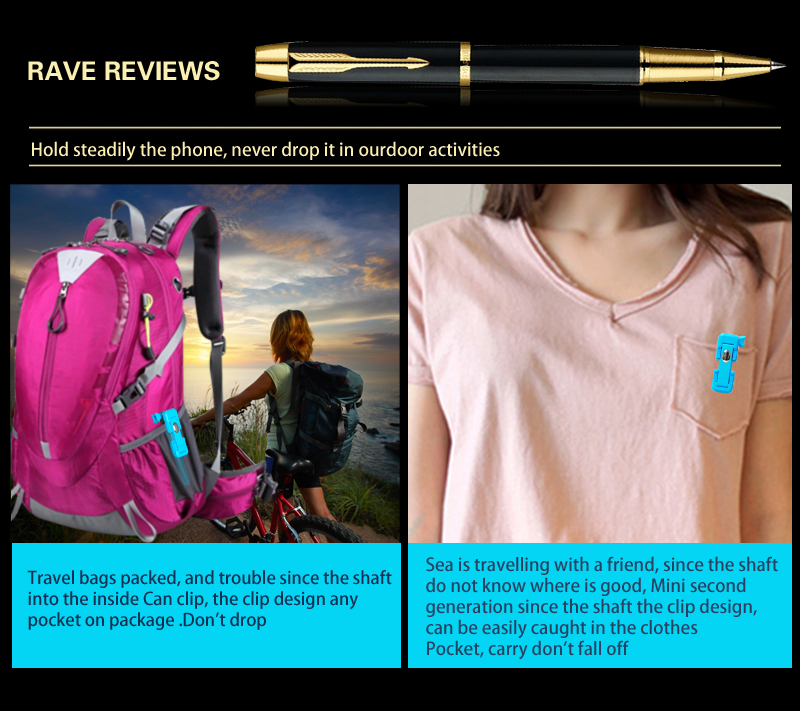 The stick and be hang on the pocket of shirt and pants or holded inside of purses pencil boxes. 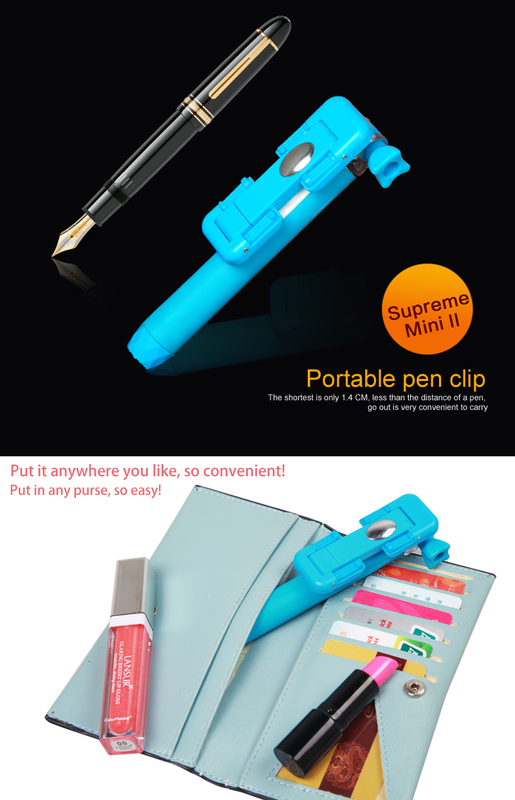 It is quite portable and easy to carry. 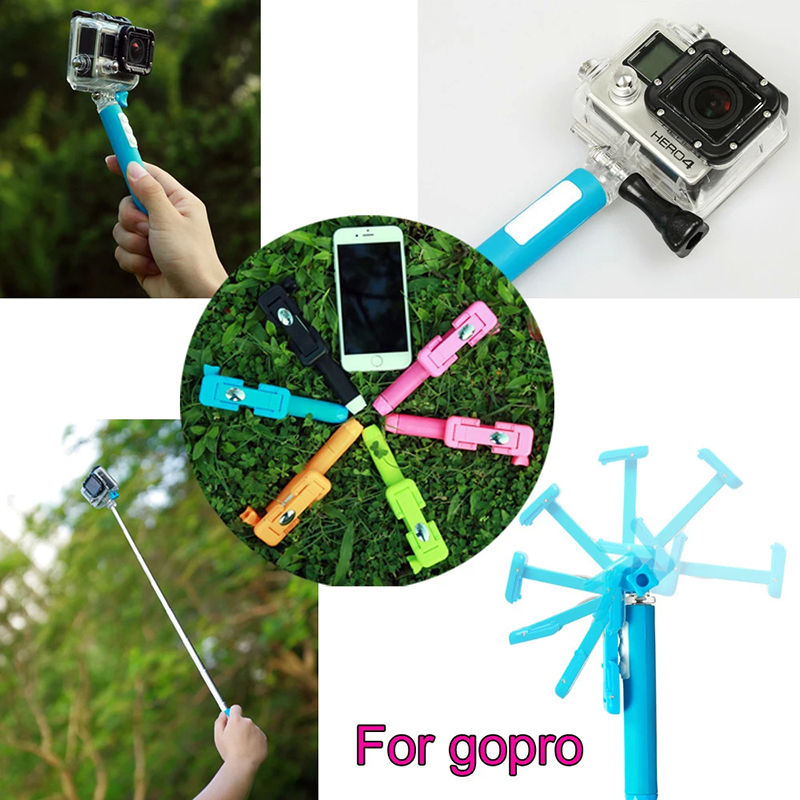 sportive selfie concept： unique commonly used mount is suitable for using professional sports camera. 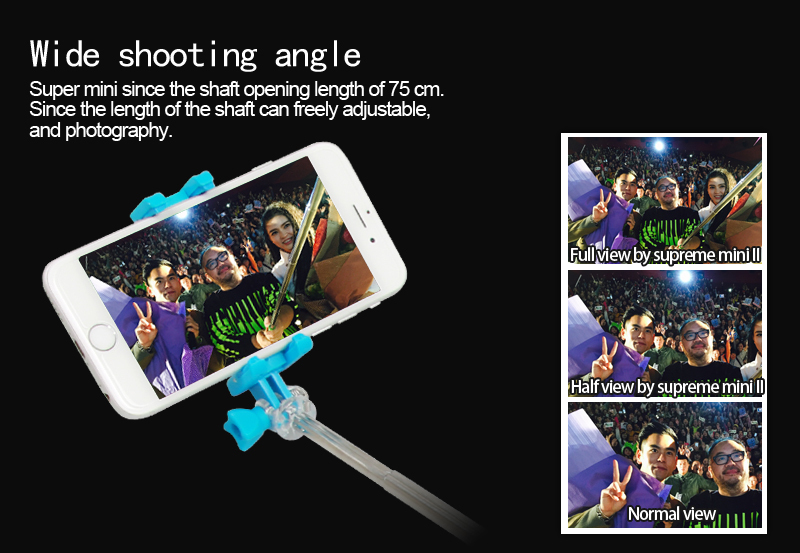 In order to get more professional pictures, the sports camera is needed to use. 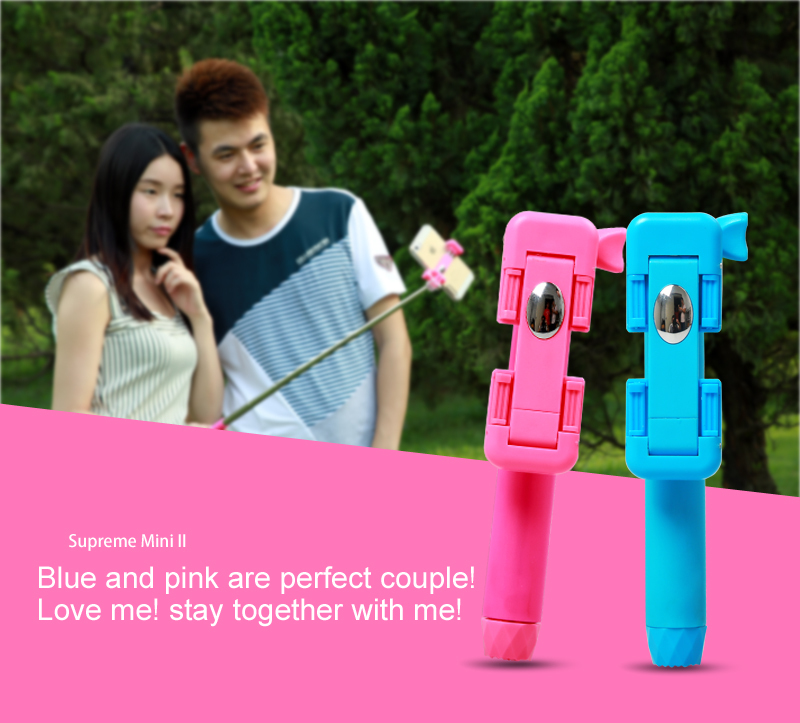 High compatibility concept: 3.0 bluetooth chip is low- power version. 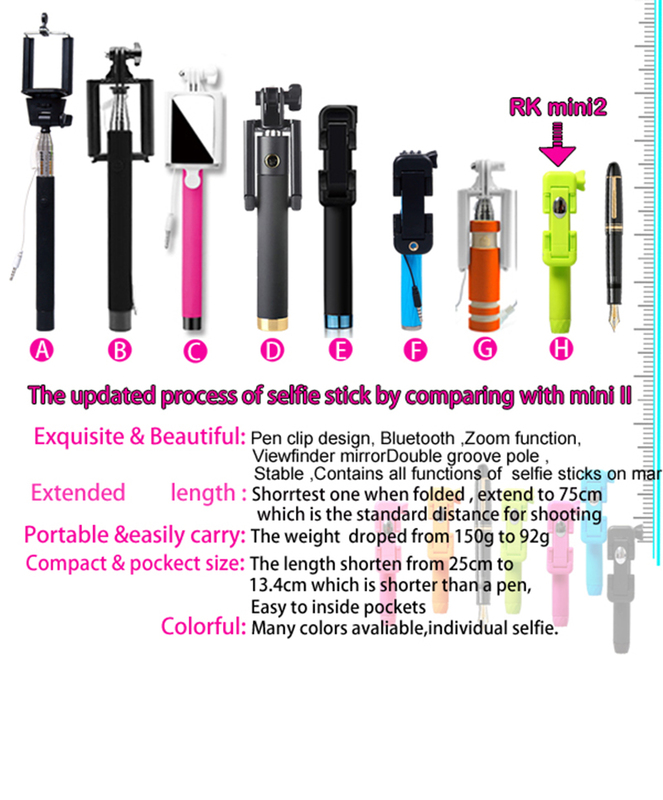 While comparing with other wire monopods, bluetooth monopods can support almost all phones. 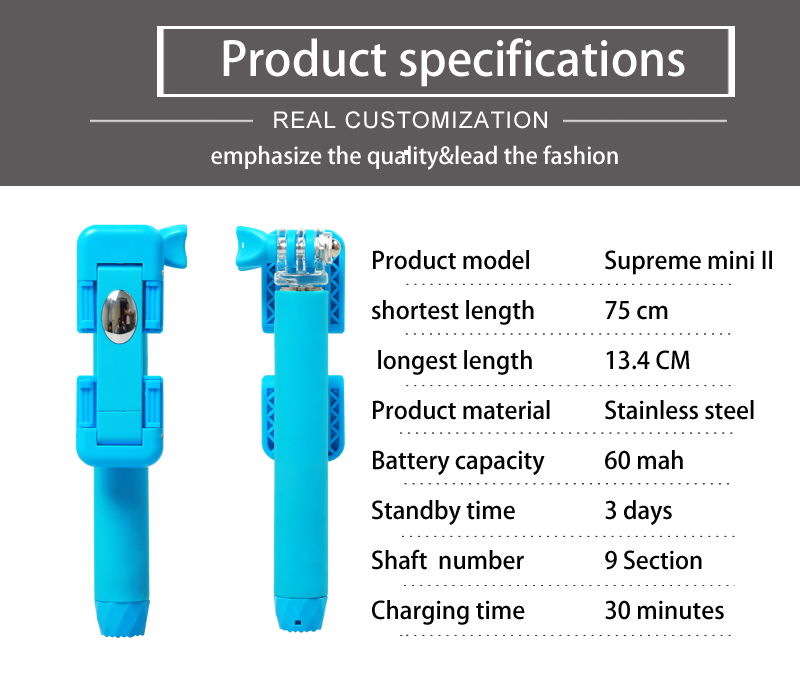 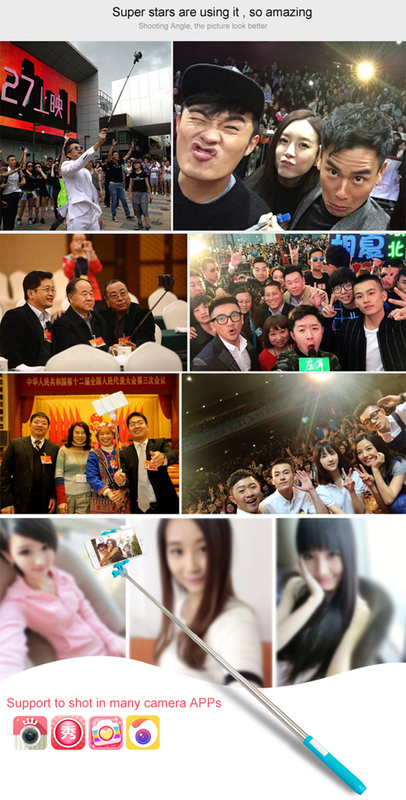 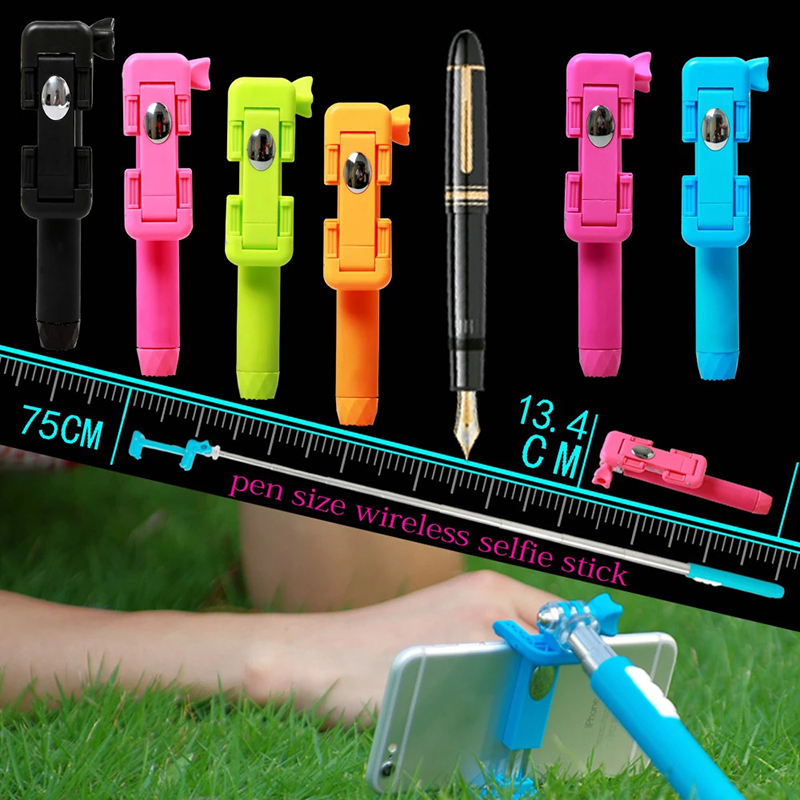 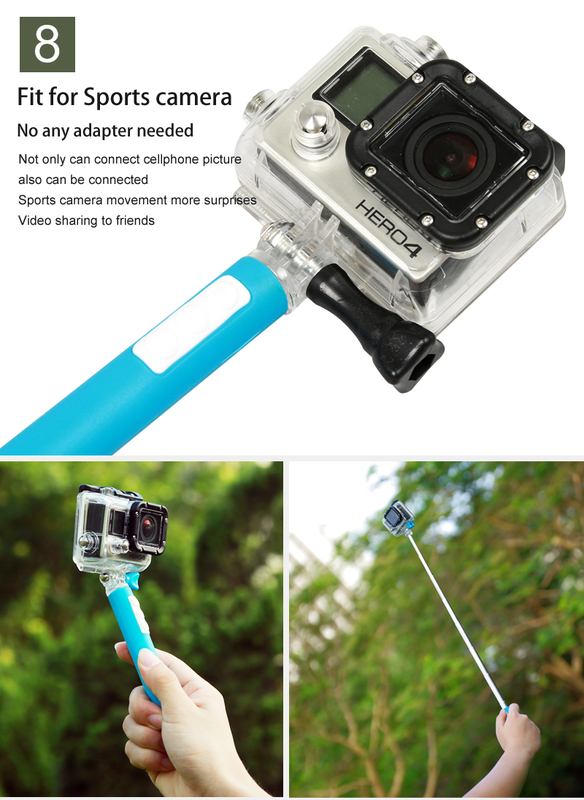 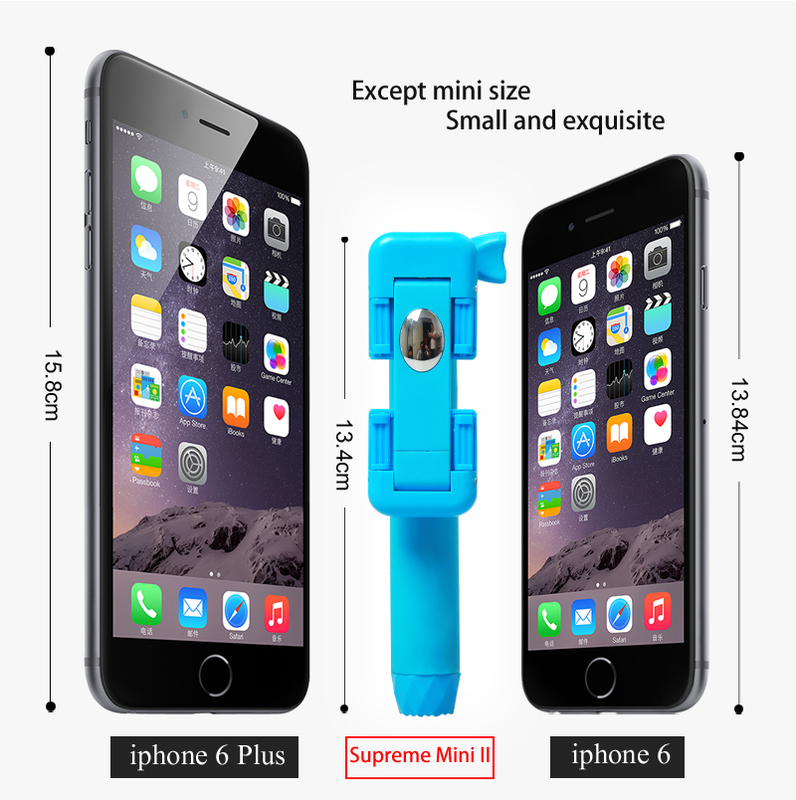 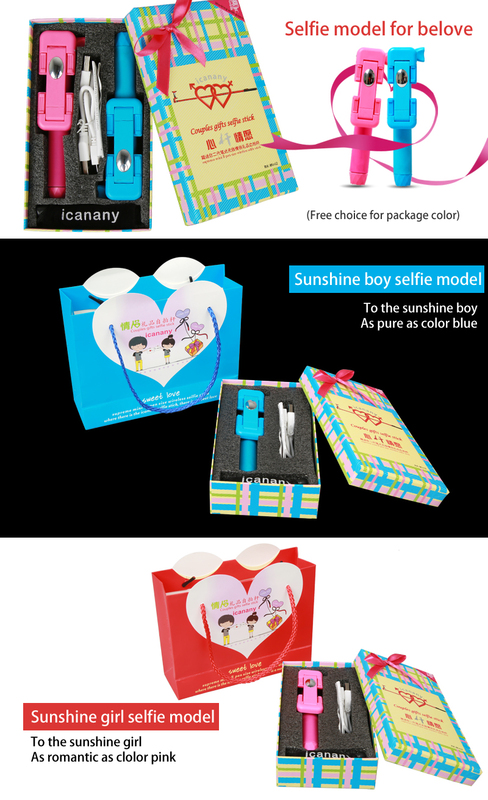 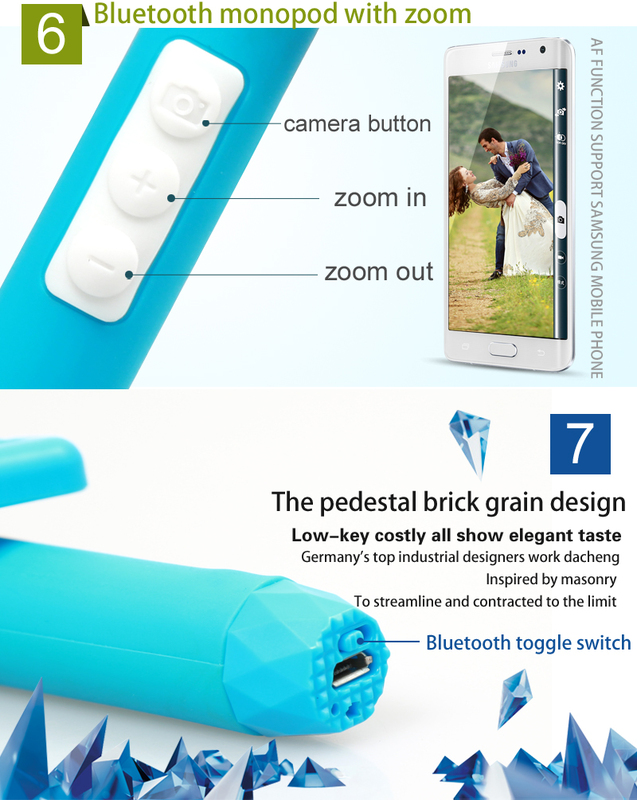 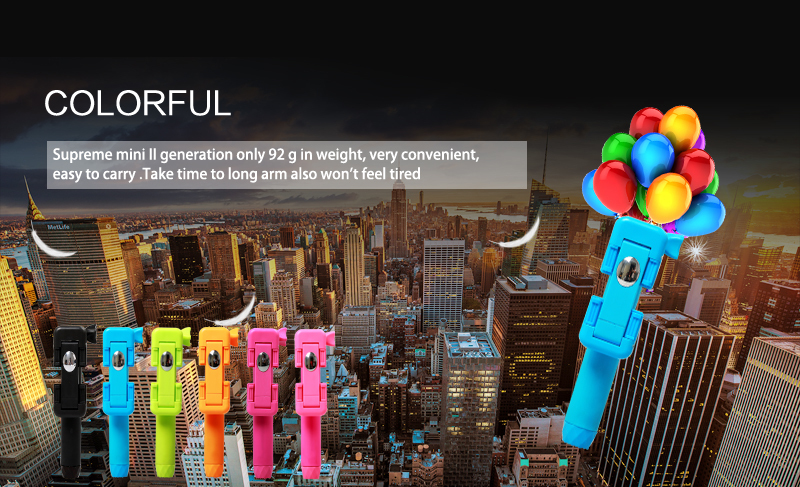 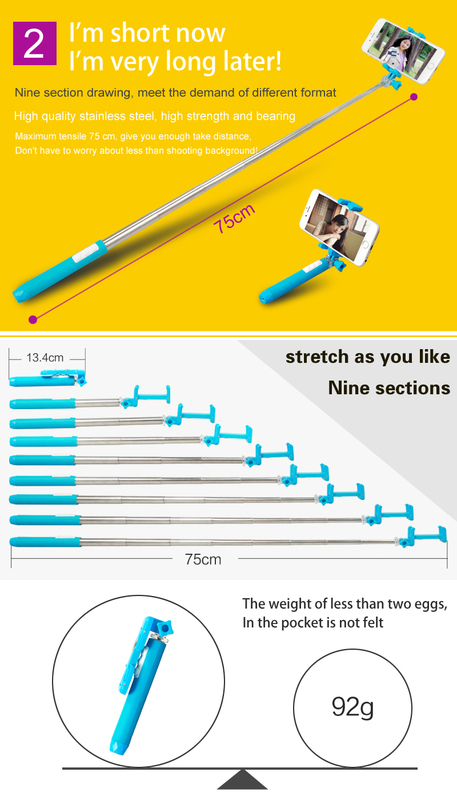 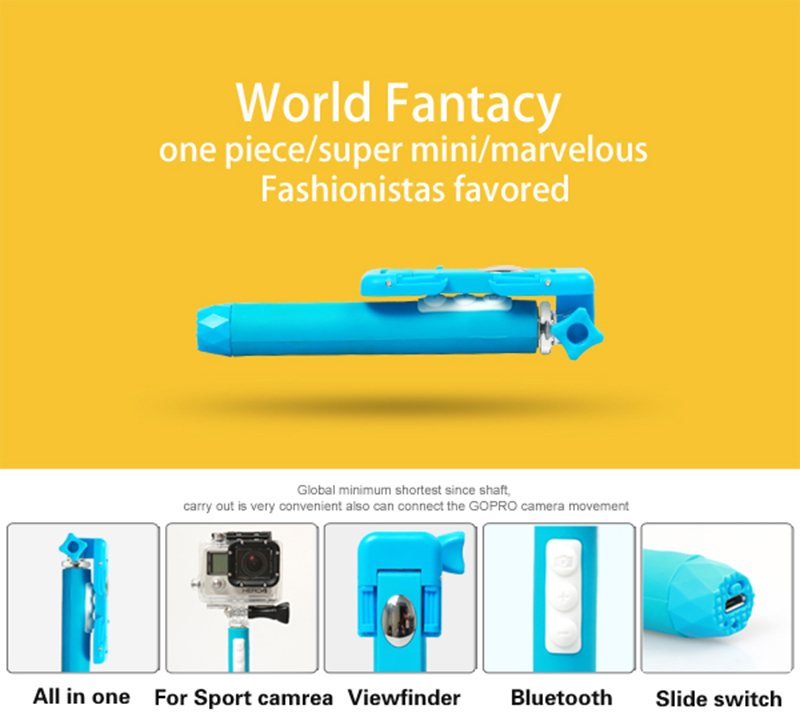 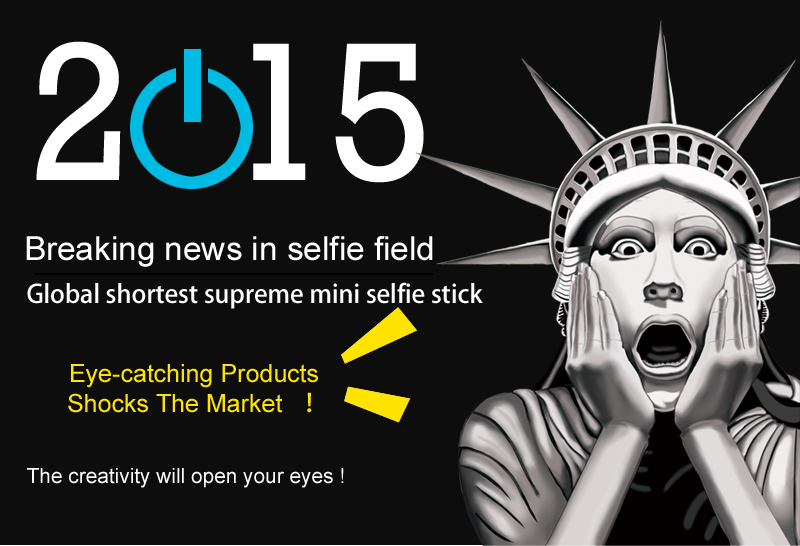 Multifunctional lazy stand concept: supreme mini II gift selfie stick is in high practicality. 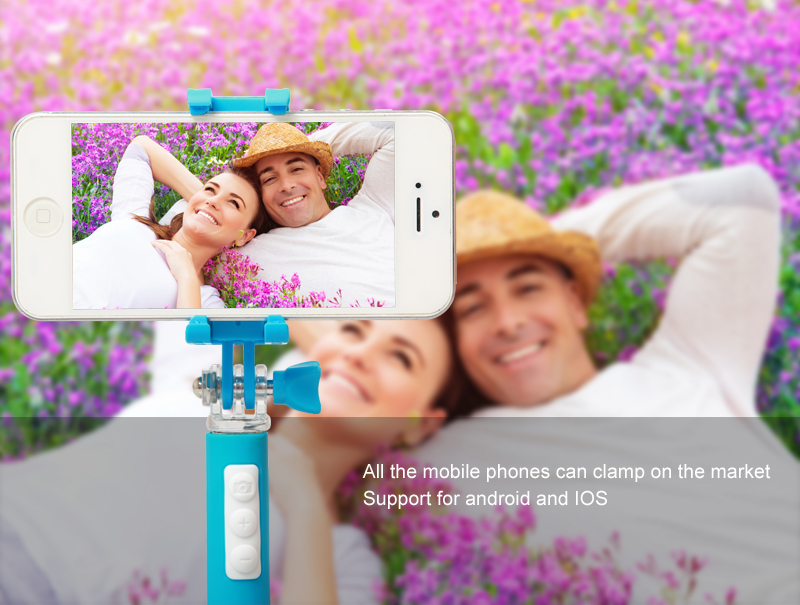 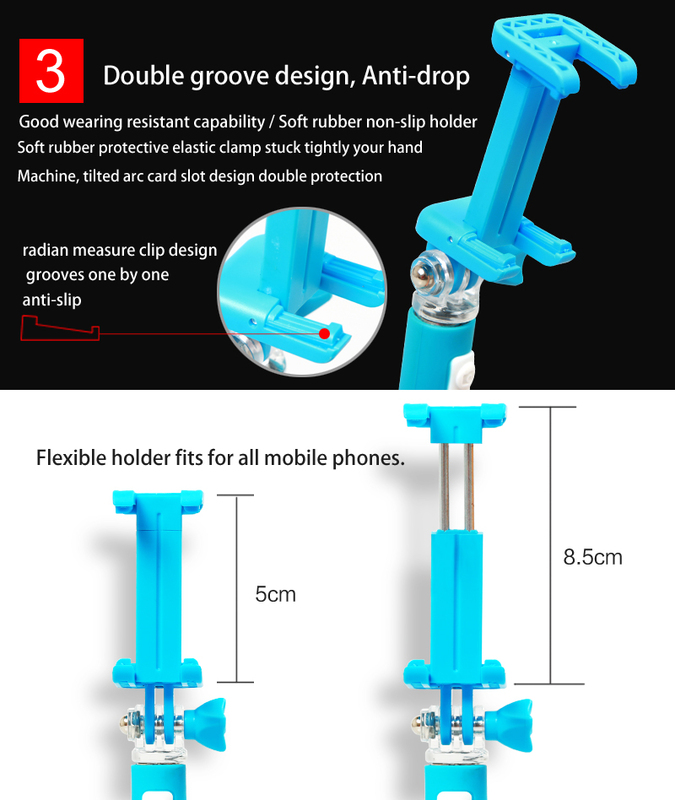 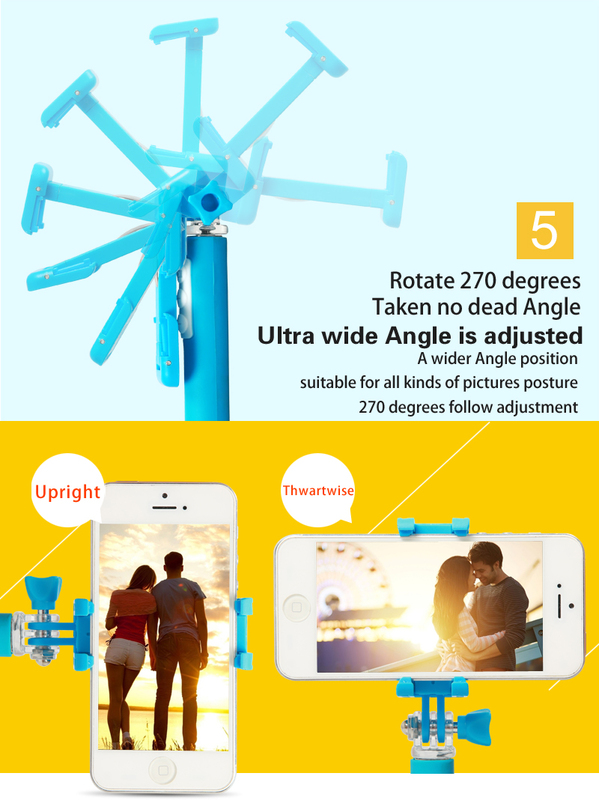 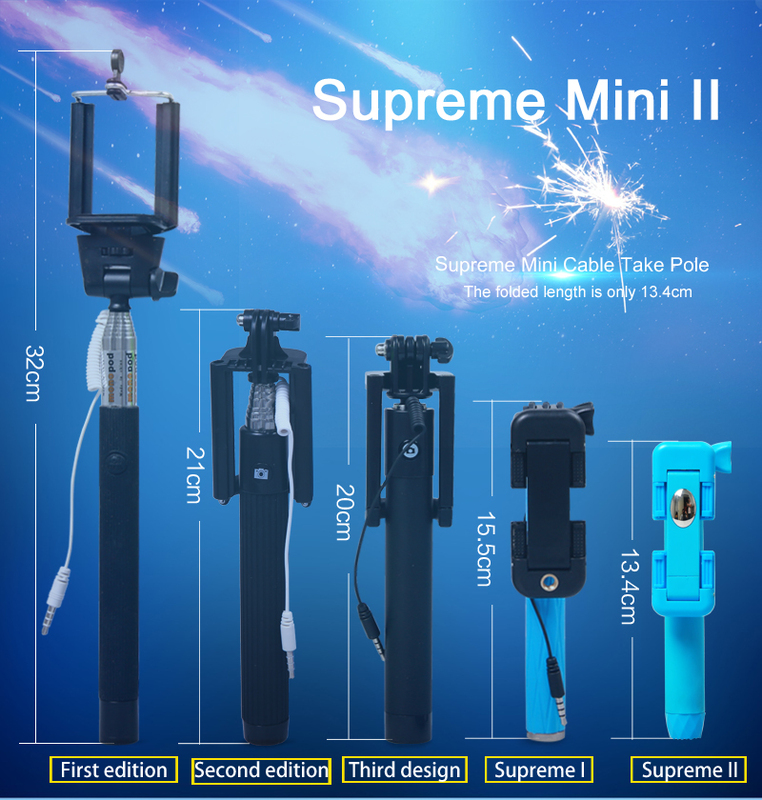 Compact design supreme mini II selfie stick can act as a lazy holder or a phone stand for watching videos when outdoor play. 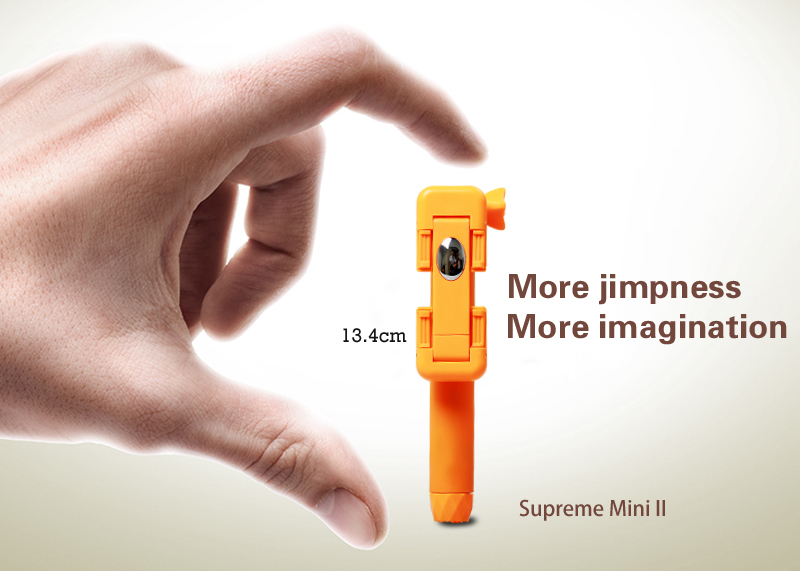 Portable concept: supreme mini II pen size gift selfie stick only weights 92g which weight is like to carry a few lipsticks. 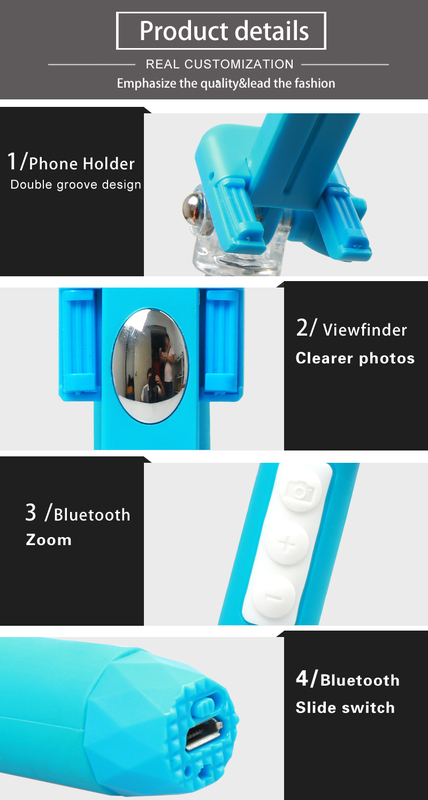 view-finder mirror concept：with new definition， the micro mirror is more artistic and stable so to show clear images when using rear camera. 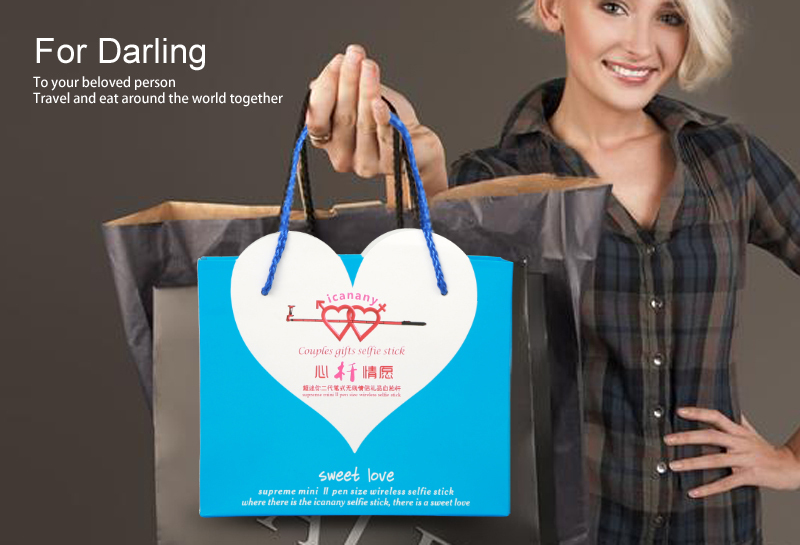 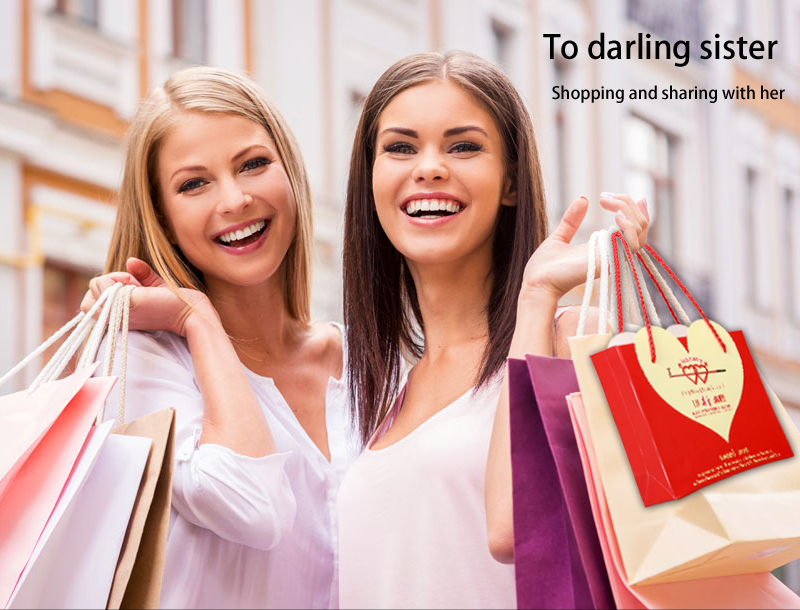 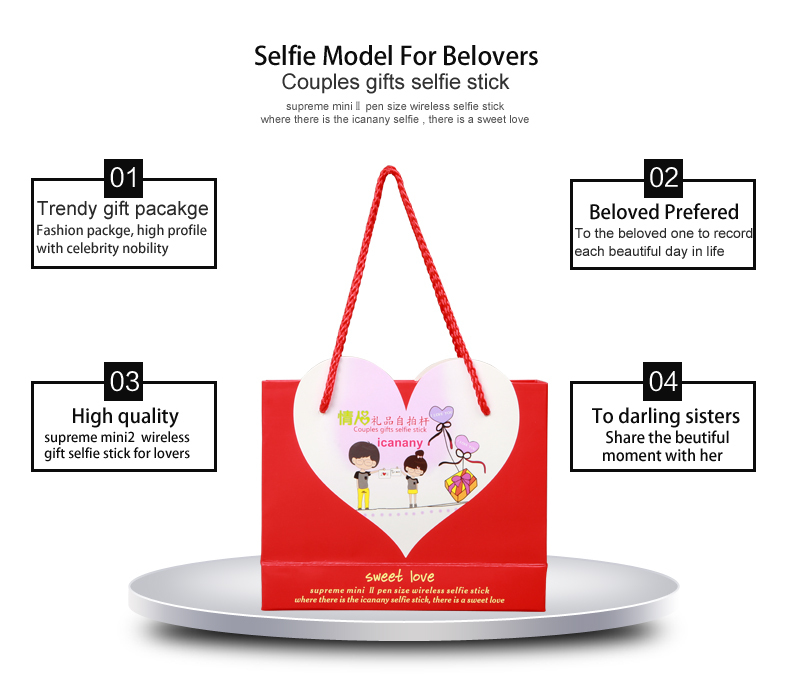 Gift and collocation concept: gift package can meet the demands of a variety of people. 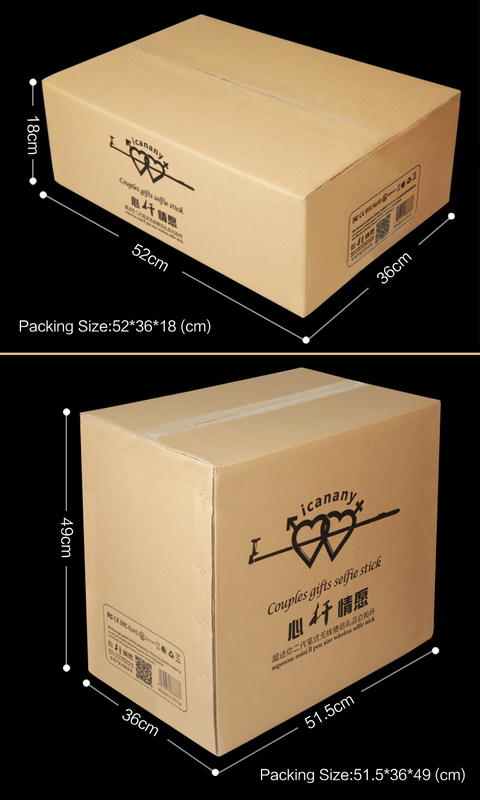 The single ordinary crystal box package is small and nice which meets the requirement of most people. 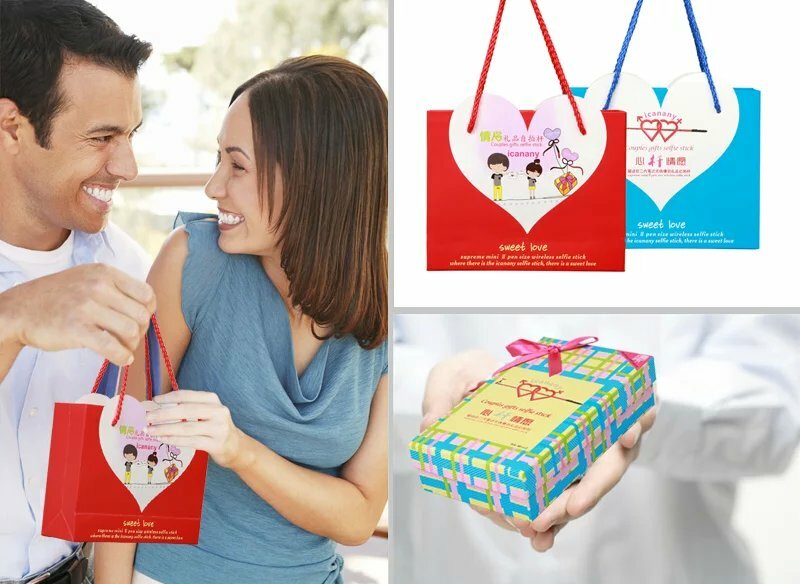 One stick couples package is designed for gifts when people join a family-visit, a friend’s party, a birthday party or a feast. 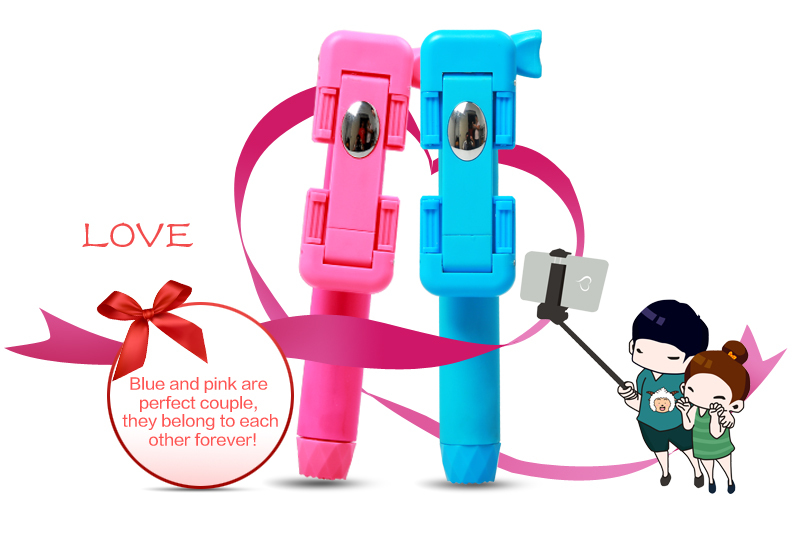 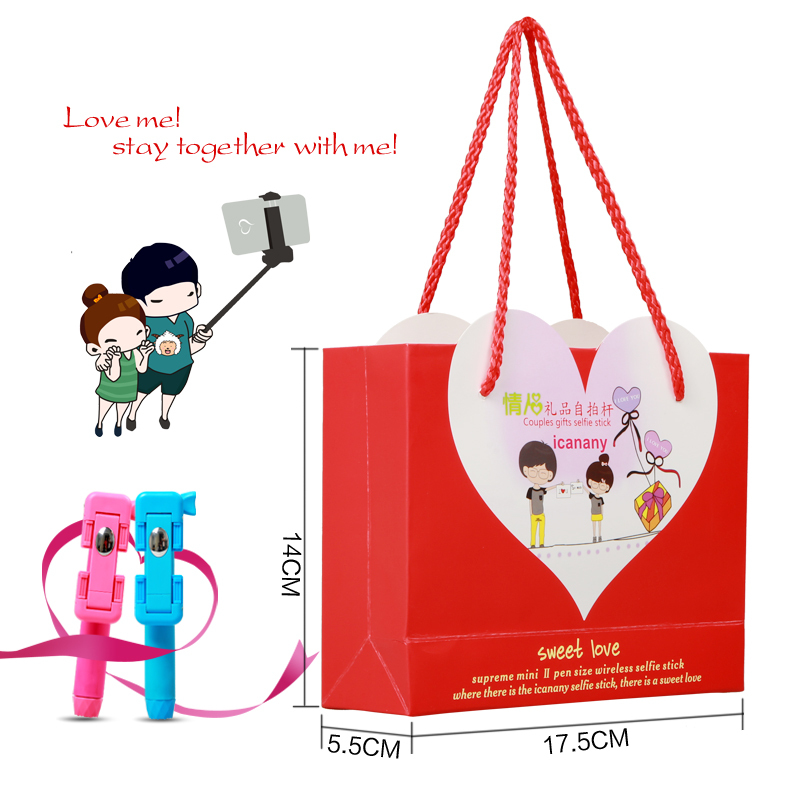 Double sticks premium couples packing with one blue and one pink is designed for couples, spouse, and sweetheart to record your love stories.